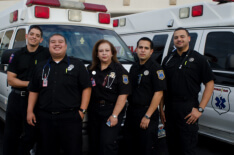 Force EMS is a medical transportation provider with an office in Longview and Nacogdoches, Texas. Our business is the wellness and safety of every individual in need of transportation emergency or non-emergency, call-in or reservation basis. Force EMS is staffed with medical transport technicians and drivers who are available 24 hours a day, 7 days a week for prompt response. They have undergone background checks and completed basic First Aid and CPR training. All of them are bonded and insured. Our primary focus is your safety, on the road, and by our side. We guarantee door to door services and convenient Medical Transportation in Longview, Texas.